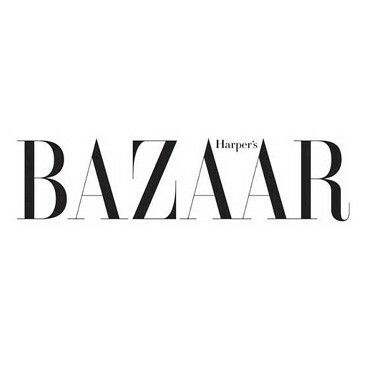 Selena Gomez on the cover of Harper’s Bazaar wearing a striped Dolce and Gabbana jumpsuit. Selena is sitting poolside in a gorgeous Oscar de la Renta bathing suit and light pink umbrella. Selena poses in front of a white background in the same Dolce and Gabbana jumpsuit as her cover. Selena is playful wearing a coral Dior mini with light pink heels. A little over a year ago, singer Selena Gomez was appearing in almost every teen magazine imaginable, now, the 20-year-old has landed on the cover of high-fashion magazine, Harper's Bazaar. In an interview for their April issue, Selena opens up about getting older, her friends, and yes, even Justin Bieber. When asked about the attention her on again, off again relationship has garnered, Selena responded, "So to make it as normal as possible-in such an abnormal lifestyle-was super important to both of us. Which was great ... " she trails off. "That's how it should be." Selena's new movie, Spring Breakers is a huge departure from her Disney Channel days. The film is about four college girls who land in jail after robbing a restaurant in order to fund their spring break. When asked how she felt about turning 20, Selena replied, "I'm getting older, though I don't look it at all-I hate it now, but I'll love it later." Click through the gallery above to see photos from Selena's cover shoot!